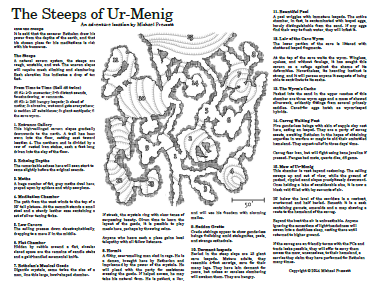 Here's another one-page dungeon, The Steeps of Ur-Menig. This time it's a dark, wet hole in the ground - in the words of one reviewer, "a place devoid of meaning." 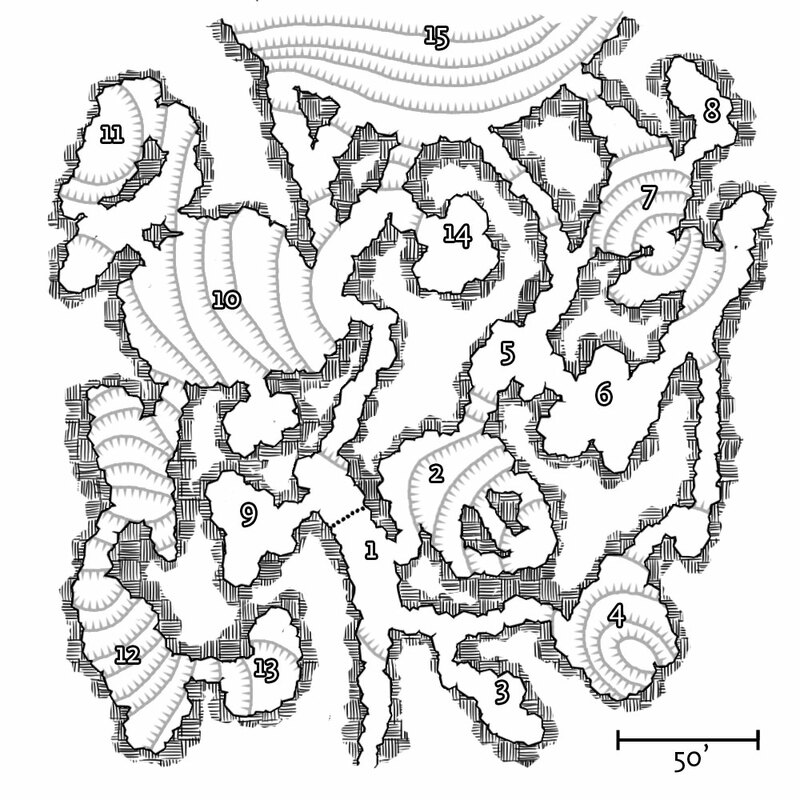 As with Stellarium, the Steeps is a system-neutral one-page adventure. With a few notes in the margin it will adapt easily to low-prep games like B/X D&D, Dungeon World, Torchbearer, or World of Dungeons. UPDATE: Here's the art for the adventure. Like the adventure itself, it's CC-BY-NC.